XML is one of those technologies you take for granted as a Flash developer and probably use practically every single day without giving it a second thought. That said I was interested to see if "Foundation XML for Flash" would be my cup of tea and go beyond the typical introduction to the XML object in Flash. 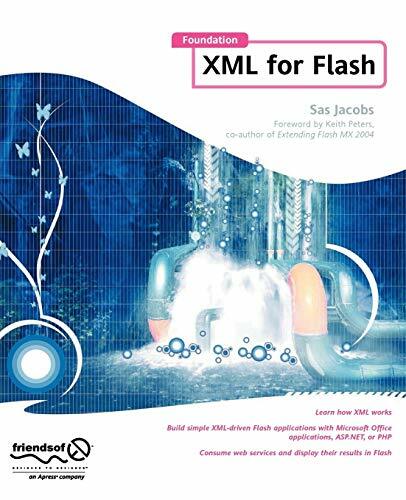 I must say I was pleasantly surprised, the book offers a whole lot of information you seldom see covered in books on XML and Flash including XSLT, DTD's, namespaces etc. One of the major strengths of this publication is the chapters where Flash integration with XML files taken from Word, Excel and Access are discussed. Its something I hadn't really thought of before and opens up a whole new world of possibilities for Flash applications interfacing with documents, spreadsheets and databases and definitely an approach I'd like to try with my install of OpenOffice. One thing I didn't see covered was the idMap property of the XML Object that was introduced for Flash Player 8 but other than that, this book is a must-have reference guide to Flash and XML, highly recommended!